Twenty six students from Secondary 1 to 5 of our school participated in the Inter-school Swimming Championships on 30-9-2015 and 7-10-2015. 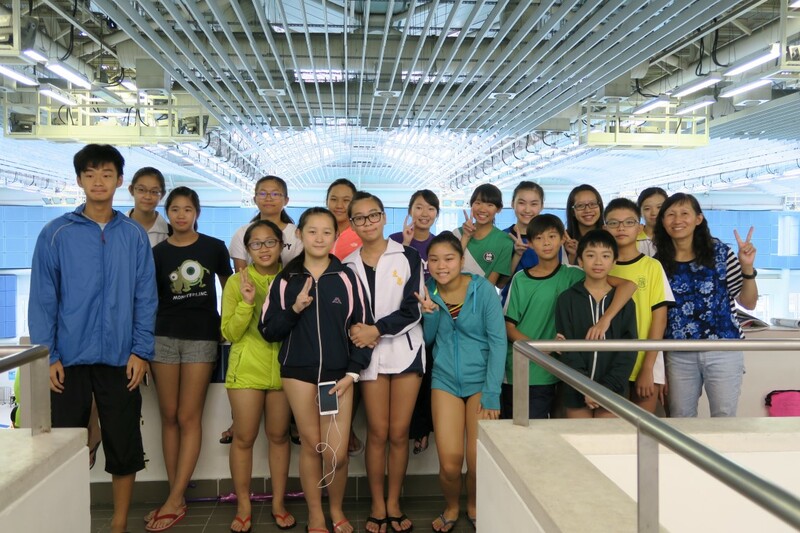 It is a competition organized by the Hong Kong Schools Sports Federation, aiming to widen the horizons and improve the swimming skills of Hong Kong students. Our school achieved very good results in this competition. 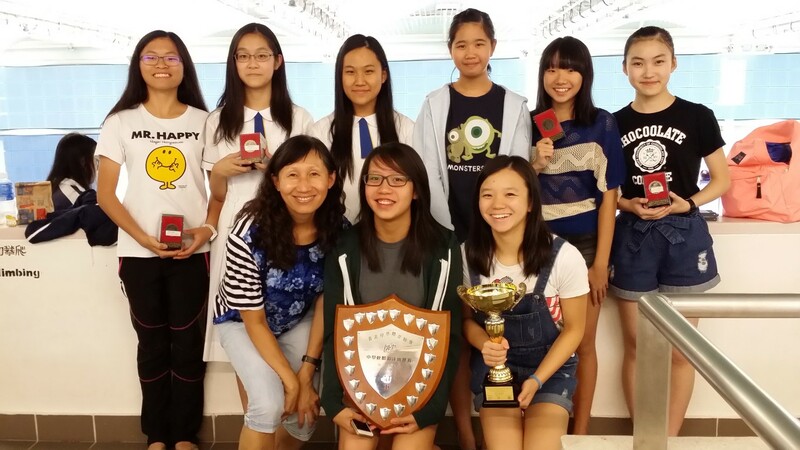 Girls A Grade got the Overall Champion, the First Runner-up in 4x50m Medley Relay and the Third Runner-up in 4x50m Free Style. Girls B Grade got the Third Runner-up in 4x50m Free Style Relay. Boys B Grade got the First Runner-up in 4x50m Medley Relay. Both Boys and Girls Teams in all grades had a great improvement in the overall rankings as well. Special mention to 5A Chiu Sze Wing who obtained the Champions in 50m Breast Stroke and 100m Breast Stroke. 4B Kwok Wing Ying obtained the Third Runner-up in 100m Breast Stroke and 4D Yu Hoi Chung got the Third Runner-up in 100m Breast Stroke.